← Can changing your mindset really improve your business bottom line? Do you know how powerful and magical your mind is and how your business results are affected by your mindset? 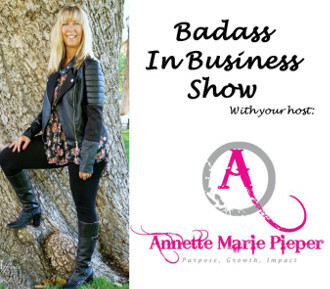 Listen to this week’s Badass In Business Show Podcast with internationally know professional Magician, Victoria Mavis as she shares how to use your magical mind to grow your business and look at your business through the lens of show business. This entry was posted in Mindset, Podcast and tagged badass business chick, badass in business, business coaching, business development, business mastery, entrepreneurs, magician, Mindset, mindset mastery, podcast, show business, victoria mavis. Bookmark the permalink.